mikenova shared this story from 1. Recent Events Review from mikenova (87 sites). President Trump’s former national security adviser wants immunity before testifying on Russia before Congress. 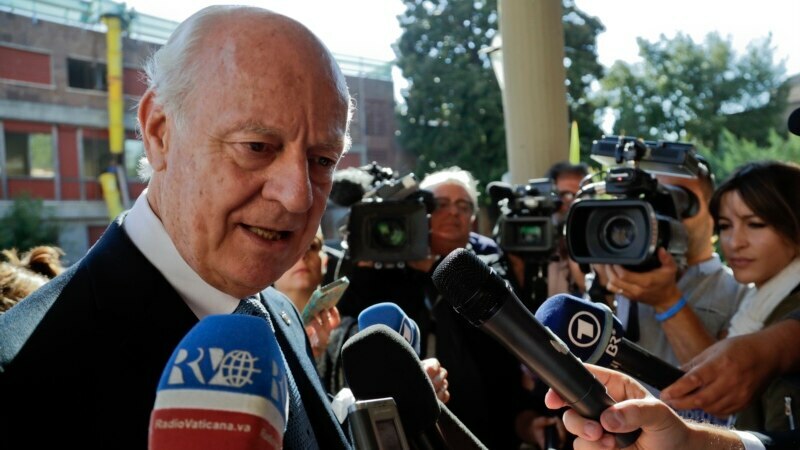 Staffan de Mistura has been trying for nearly three years to achieve a political settlement to end Syria's civil war, which has just entered its seventh year. The U.N. special envoy for Syria does not underestimate the serious challenges that exist, but he says there has been incremental progress and that all sides are engaged in serious, substantive negotiations during the fifth round of peace talks. Deal will take patience, time The group discussed a broad range of issues, including governance, the political transition, elections and counterterrorism measures. “Both the government and the opposition demonstrated a new form of maturity and commitment to continue the process notwithstanding mutual recriminations and notwithstanding the fact that there are many serious, grave developments taking place on the military side inside the country,” said de Mistura. De Mistura said the negotiations were moving on several parallel fronts and nothing would be agreed to until everything was agreed to. And he said that would take patience and time. “Last time we said that the train is in the station already,” said de Mistura. “I think we can say, especially Switzerland, where trains are very precise, that the train is moving out of the station, slowly, but moving out of the station.” Envoy quiets rumors De Mistura ended rumors about his imminent resignation as special envoy by saying they should be taken seriously only if either he or the U.N. secretary-general announces that he is leaving. For now, he plans to go to New York next week to consult with the secretary general and the Security Council on a date for the sixth round of intra-Syrian peace talks. Trump is taking Nixon’s war on the media to new and dangerous heights. Feral cats do a lot of harm — and little good. 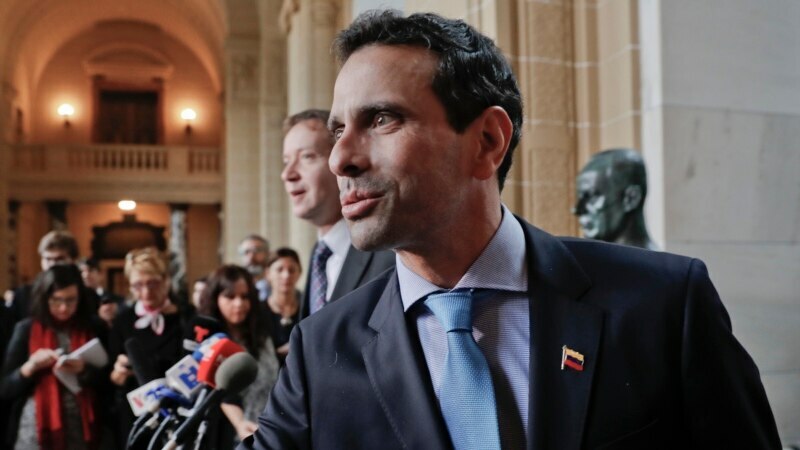 Venezuelan opposition leader Henrique Capriles met with OAS Secretary-General Luis Almagro in Washington on Friday, and denounced the actions taken when the Venezuelan Supreme Court gutted the opposition-controlled Congress of its vestiges of power earlier this week. Capriles spoke to media after the meeting, calling the actions a coup d'état. He said a dialogue with President Nicolas Maduro was nearly impossible, and that all he wanted was for democracy to be restored to the South American country. "All of the statements point to the same thing and we have to call it what it is -- there has been a rupture of the constitutional order; there was a coup d'état and we must return the constitutional thread to my country," he said. Governments across Latin America have condemned the power grab, which the head of the Organisation of American States likened to a "self-inflicted coup" by a socialist Maduro. The United Nations' top human rights official expressed "grave concern" and called on the high court to reverse its decision. In Caracas Friday, national guardsmen in riot gear fired buckshot and swung batons at a small group of students who gathered outside the Supreme Court. Several protesters were arrested and some journalists covering the demonstration had their cameras seized by the police before the group reassembled elsewhere. Capriles said he believes fear was the driving force behind the actions, calling this the last stages of the Maduro regime. “We can’t see a KGB agent behind every bush,” one local leader says. When the Taliban officially kick off their new fighting season within weeks, they’ll pick up where they left off last year: threatening several provincial capitals and stretching Afghan forces to their limit. The battle to oust Syrian President Bashar al-Assad appears to be over - at least as far as the Trump administration is concerned. The U.S. ambassador to the United Nations, Nikki Haley, said Thursday that Washington’s “priority is no longer to sit and focus on getting Assad out.” Haley’s remarks drew the ire of American lawmakers who have argued for a more robust U.S. effort to topple Assad. Republican Senator John McCain warned the Trump administration against making a "Faustian bargain" (a deal with the devil) with the Syrian government’s ally Russia. Republican Senator Lindsey Graham warned that taking the focus off Assad would be “the biggest mistake since president Obama failed to act after drawing a red line against Assad's use of chemical weapons." Hours later, U.S. officials tempered the ambassador’s remarks, saying the U.S. is interested in trying to create the conditions so that the Syrian people can pick their own government - one without Assad. Some Middle East analysts say similar, albeit vaguer, comments by U.S. Secretary of State Rex Tillerson this week in Ankara also signal regime change is off the table. These analysts argue Haley’s remarks merely reflect the reality on the ground - that Assad’s survival after a brutal six-year-long conflict appears assured. Expected move Many analysts had been expecting President Donald Trump's administration to inch closer to a much more explicit shift in U.S. policy in Syria - one exclusively focused on the war against the Islamic State. Some analysts say the administration has little alternative now. They trace the policy reversal to the Obama administration, which in its last months also was signaling an acceptance of Assad staying in power, if only in the short-term during a political transition. In a roundtable discussion this week on the future of the conflict on Syria, analyst Sam Heller of The Century Foundation, a U.S. policy research institute, argued that not much is left of the revolutionary opposition. 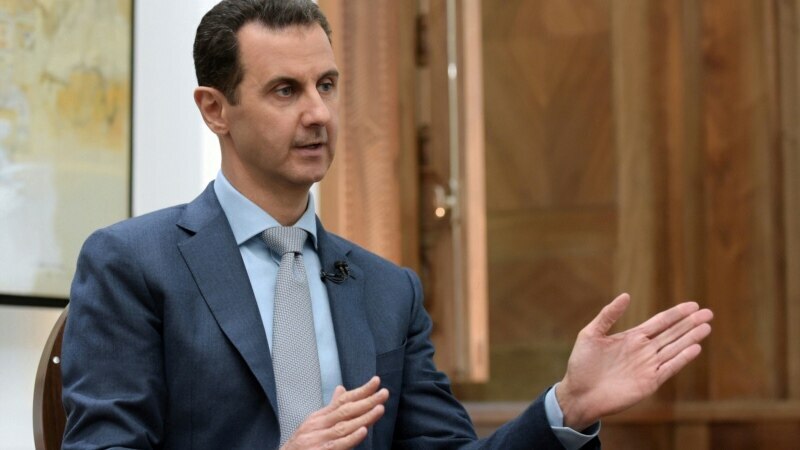 “When we say that the Assad regime has ‘won the war,’ we mean it’s achieved a strategic victory in Syria’s central civil conflict: the war between, in approximate terms, the regime and its mixed revolutionary-Islamist opposition in western Syria,” he said. According to Heller, much of the main armed opposition to Assad has been neutralized and diverted away from the insurgency against the government by regional powers who are using rebel militias for their own security projects in war-torn Syria. That includes the Turks, who have carved out a sweep of territory in northern Syria to keep Islamic State militants away from its border and block Syrian Kurds from uniting Kurdish-majority cantons. The U.S. has persuaded other Arab Sunni and Turkmen militias to throw in their lot with the Kurdish People’s Protection Units, or YPG, and to focus on battling the Islamic State. The U.S. is generally working with splinter groups or rejects from the main anti-Assad rebel force, the Free Syrian Army (FSA). Rebel militias not participating in the Turkish intervention or who are not aligned with the fight against the Islamic State have seen foreign backers cut their arms supplies. Heller says the future for FSA militias is bleak. “The choice they now seem to face is between being reincorporated into the extant Syrian state (Assad’s state), serving in a Turkish or Jordanian cross-border protectorate or indefinite exile. Or they can die with the jihadists, which is also an option. They can and will continue to fight, but they’ll likely be doing so alone, against insurmountable odds, and at a terrible cost to their civilian families and communities.” Tahrir al-Sham group takes lead Most recent breakout assaults by rebel militias have been led by a former al-Qaida affiliate. It has joined with other Islamist rebel militias in a group called Tahrir al-Sham, and last week assaulted the Syrian town of Hama, managing to advance to within 10 kilometers of its center. Other insurgents also recently launched an offensive on government-held areas in the Damascus suburb of Jobar. But there’s little prospect the Hama and Jobar offensives can be translated into major threats to the government, which was bolstered when Russia's military intervened to back Assad more than a year ago. In December, the government, backed by Iranian and Shi'ite militias, recaptured the rebel redoubt in the eastern half of Aleppo. Since December, Syrian government forces and foreign fighters have been pressing their military edge, slowly winning back rebel-held areas near the Syrian capital and squeezing Tahrir al-Sham and other Islamist militias in the northern Syrian province of Idlib, to the west of Aleppo. Several military observers from European governments told VOA in recent weeks that they see no way that opposition forces can threaten Assad’s hold over the main western and coastal cities of Syria. They do expect fighting to continue, though, led by Tahrir al-Sham. Aron Lund, an analyst with the Carnegie Endowment for International Peace, a research institute in Washington, agrees with those assessments. At The Century Foundation’s roundtable, he predicted: “There will be fighting for a long time and Syria may remain a failed state in many respects, and, of course, some unscripted event could still turn all assumptions upside down. But as things stand, Assad is definitely over some sort of threshold.” Lund says Western and Arab governments that had sought regime change in Syria have now mostly accepted that their side has no path to victory. "They are coming to terms with the fact that Assad is staying, while deciding to what extent they want to play spoilers. 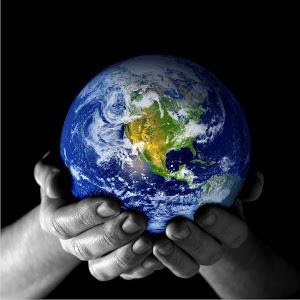 They’re not willing to say it publicly, but it’s happening,” Lund said. 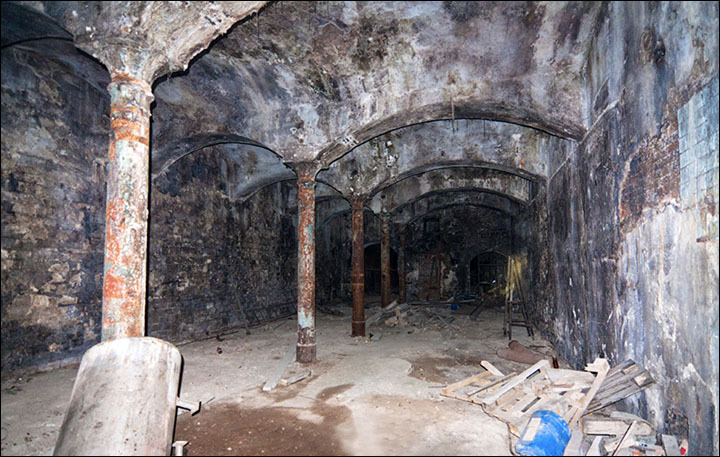 The former tunnel and at undisclosed location in Irkustk region is today under the protection of the Russian national guard after the sensational discovery exactly century after Tsar Nicholas II was deposed. 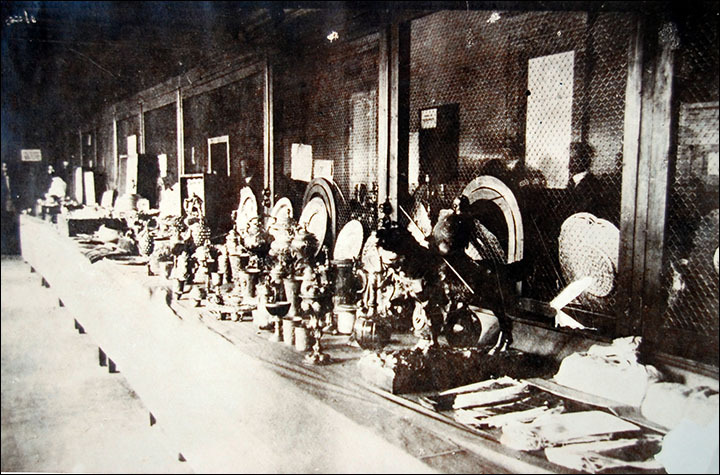 Rail carriages packed with gold bullion bearing the Romanov insignia along with 'other treasures' - in the possession of anti-Bolshevik forces as they retreated from the Red Army after the Russian Revolution - was hidden in 1918, according to sources quoted by multiple Russian news agencies. At least one 'crown once worn by the last Russian emperor' is in the collection, it was reported early today. Unlike last year's claim of Nazi gold hidden in Poland, today's report is 'genuine and verified by competent state organs' under direct Kremlin orders, said a source close to the discovery. A formal statement is due around noon in Moscow on Saturday when the first pictures of the gold will be revealed to the world's media. The first consignments will be moved to the Russian Central Bank within hours. The treasure has been claimed already by the Russian state in a closed-doors court case beginning at 00.01 on Saturday in Irkutsk under tight security. The stash 'more than compensates for the cost of sanctions imposed by Western governments', said an informed insider early today. The location of the gold was discovered after a secret code giving the coordinates of the location in Irkutsk region - originally found deep in the Stalin era - was cracked by a 21 year old mathematics protege who studies in Tomsk. The document was seized from a Kolchak aide in 1919 and has lain for years in a Russian national archive in Moscow. Over the decades, experts have failed to understand the bizarre instructions written in Russian, French and English. 'It was simple once I understood the importance of the numbers 1 and 4 and their complex interrelationship,' said the student in an interview with TASS news agency. The mathematics genius, who has not been named because his is also a 'hacking maestro' suspected by the FBI of involvement in penetrating Hillary Clinton's emails, took less than one hour to crack the decades-old formula designed to inform royalists the location of the treasure. 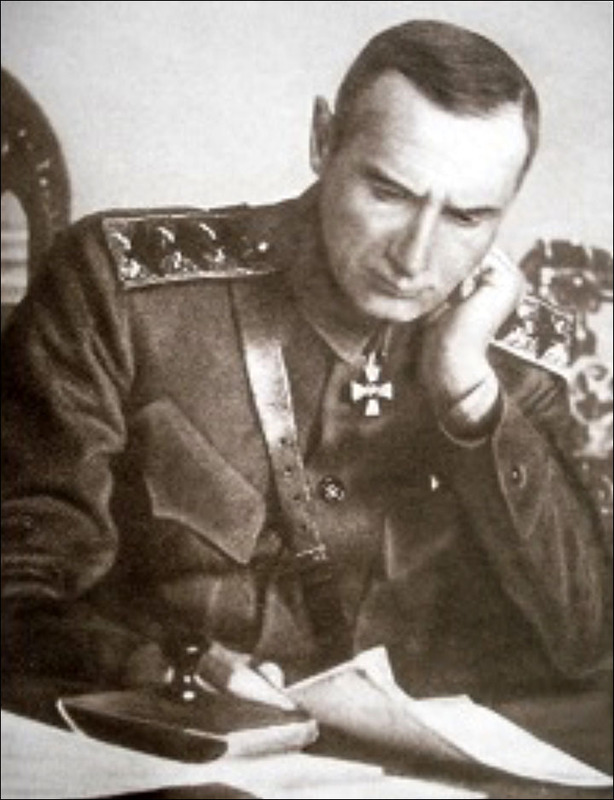 Since the defeat of Admiral Alexander Kolchak, leader of the White Russian forces, there has been speculation about the tsar's gold, and where it was stashed. In the months leading up to July 1918, when abdicated ruler Nicholas II and his family were shot on Lenin's orders, it is estimated that 73% of the world's largest gold reserves were held in Kazan, a city on the Volga River, before most was shifted further east into Siberia. It had been moved here for security reasons during the First World War. 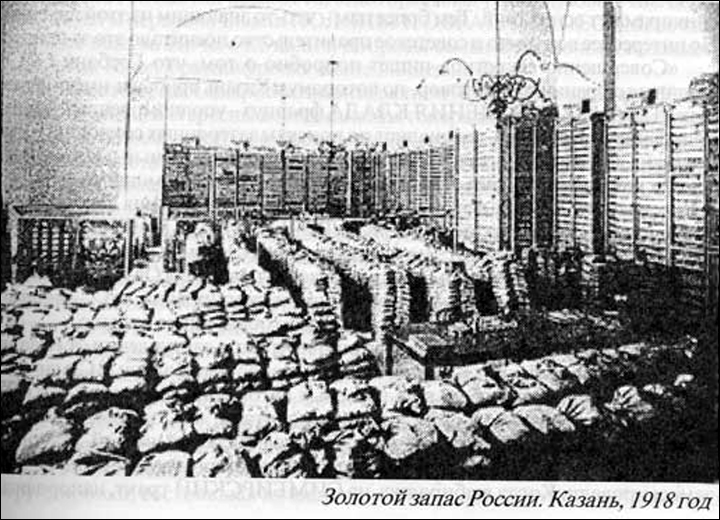 Grainy pictures from the vaults of a Kazan bank highlight that gold and other other precious metals of untold value were held here. 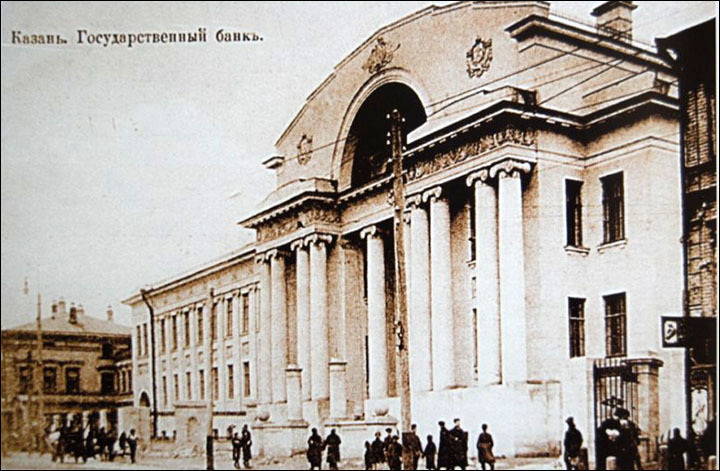 It is known that huge stocks of gold were removed to Omsk in Siberia by train on 13 October 1918. One month later Kolchak was proclaimed Supreme Ruler of the country and Omsk was briefly the capital city of anti-Bolshevik Russia. 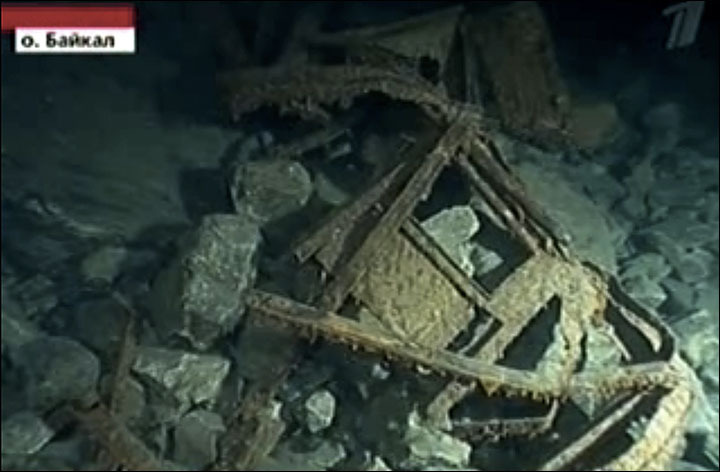 One theory is that as the gold was transported east from Omsk and some of a suspected 1,600 tons of royal bullion sank into Lake Baikal near Cape Polovinny after a train accident. 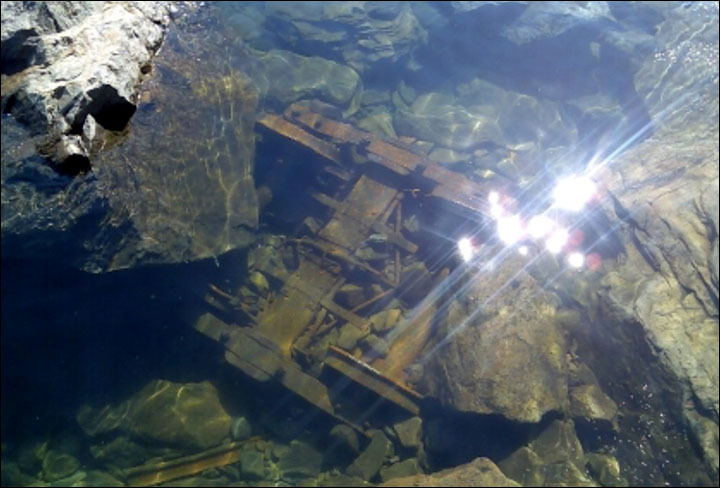 Mini-submarines scored Lake Baikal in 2010 for a cargo of gold that was reported to have fallen from a derailed train into the lake. Separate claims suggested gold was carried towards Imperial China by troops loyal to Kolchak across frozen Baikal in the winter of 1919-20. 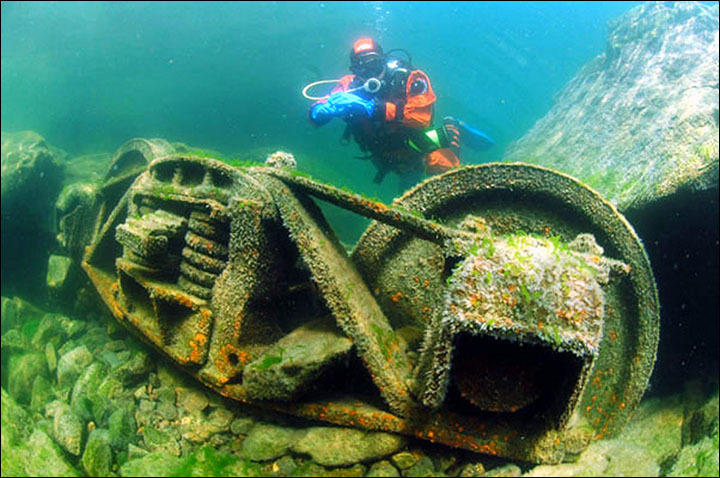 Other claims suggested gold was buried in Krasnoyarsk region. In 1928, a New York court was told that the gold was elsewhere - buried in woods near Kazan. There have been claims the value of tsarist gold could be as much as $80 billion. Provisional estimates from the site in Irkutsk region suggest the stash is worth 'a little less than $30 billion'. WASHINGTON (Reuters) - The United States on Friday sanctioned 11 North Koreans and one North Korean company for their links to the country's weapons programs, banks and commodities trade, the U.S. Treasury said. 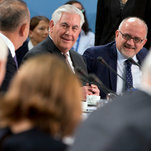 Secretary of State Rex W. Tillerson sought to reassure Europe that the U.S. remains committed to the alliance, but again demanded that allies pay more for their collective defense. The Treasury Department slapped sanctions on 11 North Koreans and one company Friday over Pyongyang's nuclear-weapons program and violations of U.N. Security Council resolutions. The day after Donald Trump fired him, Michael Flynn had no friends in Washington but one: Devin Nunes, the chairman of the House intelligence committee. Flynn, the former director of the Defense Intelligence Agency, had been laid low before. In 2014, the heads of US intelligence and Pentagon intelligence pushed Flynn out. His relationship with the US intelligence agencies never quite recovered. Flynn’s subsequent penchant for inflammatory, erratic and even bigoted statements left few, particularly in security circles, willing to defend him. Банк Credit Suisse стал объектом международного налогового расследования. Следственные действия прошли в офисах швейцарского банка в Париже, Лондоне и Амстердаме в связи c подозрениями в причастности к уклонению от уплаты налогов его клиентами. On Oct. 28, 2016, four months after declining to bring a case against former Democratic candidate Hillary Clinton for her use of an unsecured e-mail server during her time as secretary of state, FBI director James Comey wrote a stunning letter to members of Congress, informing the legislative branch that the bureau was investigating new documents pertinent to that investigation. The circumstances surrounding Trump’s election cannot be singularly attributed to Comey’s revelation of an FBI probe into Clinton’s emails. But one thing is certain: when voters went to the polls on Election Day, they did so under the false narrative that only one of the candidates had been the subject of a criminal investigation. In fact, in July 2016, around the same time that Comey originally declined to bring charges against Clinton, the FBI began investigating the Trump campaign’s connection to Russian operatives actively trying to influence the U.S. election. The stark difference between FBI director James Comey’s radio silence on the bureau’s continuing investigation into then-candidate Trump, and the director’s willingness to discuss the investigation into former Democratic candidate Hillary Clinton’s private email server raises serious questions—chief among them, why? What was behind the unwillingness to disclose an ongoing investigation into Trump’s ties to the Russian government? As the report notes, federal officials were intent on protecting an FBI source—a convicted criminal with deep links to the organized crime network—upon whom the bureau came to rely for information about this crime network. Some federal officials “were so involved in protecting this source” they later became a part of his personal defense counsel; upon his conviction government attorneys urged for “extreme leniency” toward this man. The article further reveals that among the many details Comey was unable to discuss during his Mar. 20 testimony into the government’s investigation of Trump associates and Russian operatives was the fact that “for more than three decades the FBI has had Trump Tower in its sights,” monitoring its occupants’ deep ties to organized crime networks. According to the report, one former Trump Organization adviser, Felix Sater, fits the bill for the FBI’s source into the Russia-based crime ring. Fred Oberlander, an attorney who represented a former Bayrock employee, was provided access to highly sensitive documents involving Sater’s work as a government informant. According to WhoWhatWhy, on Feb. 10, 2012, the US Court of Appeals instructed Oberlander he could not “inform the legislative branch of the United States government what he knew about” Sater. The U.N. envoy for Syria wrapped up a fifth round of talks between opposition leaders and the government, pointing to “incremental” progress while acknowledging no peace deal is foreseeable as the country enters its seventh year of war. Defense Secretary James Mattis and Secretary of State Rex Tillerson called out Russia on Friday for "aggression" and "mucking" around in the election during separate overseas remarks. Mattis joined the United Kingdom defense secretary Michael Fallon in London where they answered questions on Russia and North Korea. One of the reporters asked Mattis about last month's alleged Russian violation of the I.N.F Treaty, which was signed by former president Ronald Regan and Soviet leader Mikhail S. Gorbachev. The 1987 treaty that Russia is accused of violating "bans the testing, production and possession of American and Russian intermediate-range missiles based on land," the New York Times reported. "Do you think it's time for the United States to exit that treaty?" the reporter asked. "Russia's violations of international law are now a matter of record from what happened with Crimea to other aspects of their behavior in mucking around inside other people's elections and that sort of thing," Mattis said. Mattis went on to say that the North Atlantic Trade Organization (NATO) stands "united," and that Article 5 will continue to be the bedrock of the NATO alliance. "Secretary Mattis, one of your generals has said that Russia may be arming the Taliban in Afghanistan and there is also the presence of Islamic State in the country," a Daily Mail reporter asked. "How concerned are you by these factors and what will you do about it?" Mattis responded by saying that the Russian activity "gives us concern," but he couldn't say whether activity had manifested into weapons yet. "We look to engaging with Russia on a political or diplomatic level, but right now, Russia is choosing to be a strategic competitor," Mattis said. "And we are finding that we can only have very modest expectations at this point in areas where we can cooperate with Russia contrary to how we were just 10 years ago, 5 years ago." "It's no longer a cooperative engagement with them right now. It's when we're going to have to carve out diplomatically some kind of maneuver room here assuming Russia can change its behavior and act in accordance with international norms and international law," Mattis added. Tillerson also delivered remarks at a NATO meeting in Brussels, where he said that U.S. sanctions against Russia will stay in place until Moscow "reverses the actions" it has taken against Ukraine, CNN reported. "American and NATO support for Ukraine remains steadfast. As we have repeated at every ministerial and summit since Russia launched its campaign of aggression against Ukraine, NATO allies stand firm in our support of Ukraine's sovereignty and territorial integrity," Tillerson said. "We will continue to hold Russia accountable to its Minsk commitments. The United States sanctions will remain until Moscow reverses the actions that triggered our sanctions," Tillerson added. "We want to see the US foreign policy, not just quotes," a Russian foreign ministry spokesperson said in response to Tillerson's remarks. The post Mattis, Tillerson Call Out Russia for ‘Aggression’ and ‘Mucking Around’ in Elections appeared first on Washington Free Beacon. WASHINGTON (Reuters) - President Donald Trump will seek to rebuild the U.S. relationship with Egypt at a Monday meeting with Egyptian President Abdel Fattah al-Sisi focused on security issues and military aid, a senior White House official said on Friday. Ecuadorean officials say they’ve found the body of a U.S. businessmen buried beneath a house. One of the things I endeavor to remind people of consistently when I am asked to speak to groups around the country is to consider the possibility that we are led by a pack of idiots. This is not out of any animus toward our leadership class, but borne out of experience. I have seen cabinet secretaries who type with two fingers. I have listened as senior staffers with authority over constructing legislation in a particular scientific field engage in debate on whether or not the moon landing was a hoax. I have seen a man charged with revolutionizing incredibly complex government information technology systems who did not know how to use a thumb drive. I have seen the bill from a highly paid consultant, an incredibly expensive bill, for a PowerPoint deck that I had seen him present for another client with different logos. And, more personally, I have been told at many varied points in my career by accomplished people why the thing I wished to build was impossible, why it would be a failure, and why I should instead join company X, Y, or Z, none of which are relevant or in some cases even exist today. This is why we should never forget the possibility that underneath the façade of government and business, which projects authority and success, there are a host of fools who are just along for the ride and got to where they are by dint of internal politics, a nice resume, and good timing. This brings us to the discovery of James Comey’s Twitter account. Comey mentioned in passing at a public event the other day that he had to be on Twitter these days, and that he has an Instagram account but only follows his family and his daughter’s boyfriend. This was a very foolish thing to say, because it immediately set the internet sleuths going – and thanks to Instagram’s algorithm, it made it very easy to find Comey’s accounts. He even named the blasted thing after Reinhold Niebuhr – the subject of his college thesis. It took a lone Gawker writer four hours to find him. This brings us to his Twitter account, which bears the same name and the handle referring to a project he started in Richmond. There is only one person currently following the account: Benjamin Wittes of Lawfare. Wittes is no Twitter neophyte. He is an active user with more than 25,000 followers, and he only follows 1,178 accounts—meaning he is not a subscriber to the “followback” philosophy. If he is following a random egg—and is the only account following it—there is probably a reason. That reason could be the fact that, as Wittes wrote here, he is a personal friend of James Comey. (We’ve reached out to Wittes for comment but have yet to hear back.) Project Exile happens to be a federal program that James Comey helped develop when he was a U.S. attorney living in Richmond. And then, of course, there are the follows. What I take away from this is that James Comey, for all of his stature and plaudits he has received, is an idiot when it comes to use of social media, and a fool if he didn’t think his comment was going to lead to him being found out. Let us hope for our sakes that this is an isolated bit of foolishness. But that seems unlikely. FBI Director James Comey? Or @projectexile7 on Twitter?